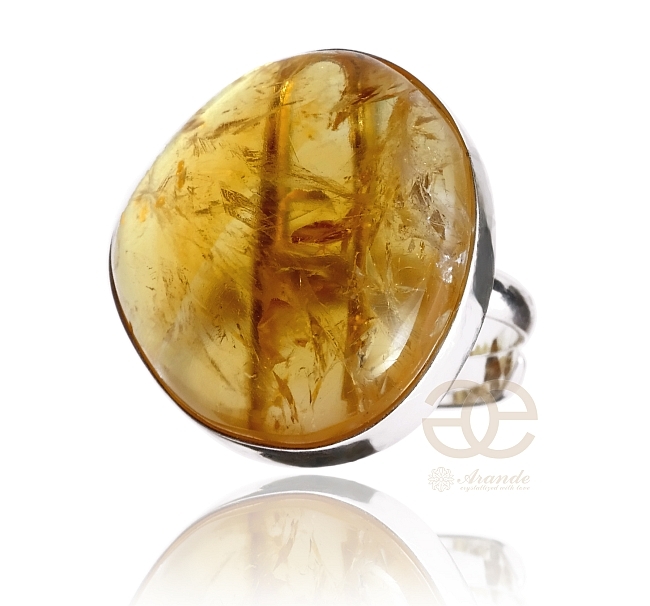 Beautiful sterling silver ring with large genuine citrine. Natural gemstone - genuine citrine polished with high luster. Beautiful distinctive color. Origin: Brasil. Sterling silver setting. Elegant oustanding jewellery with natural allure.